Barn conversions make for incredible homes, so much so that old derelict barns are hard sought and fought over. The genuine rustic exterior makes a welcome break from uniform new builds, and they end up being a home rather than a house, in the truest sense. However, barn conversions are very easy to do wrong, and without using reputed, experienced builders they can end up being leaky, draughty buildings which will have problems for years to come. They are also difficult from a design perspective. But by adhering to one golden rule you can ensure that your barn conversion ends up looking like the building you want. That golden rule is; make sure everything is in keeping with the original building. This means that any bricks you use to add extensions, should match the original bricks. 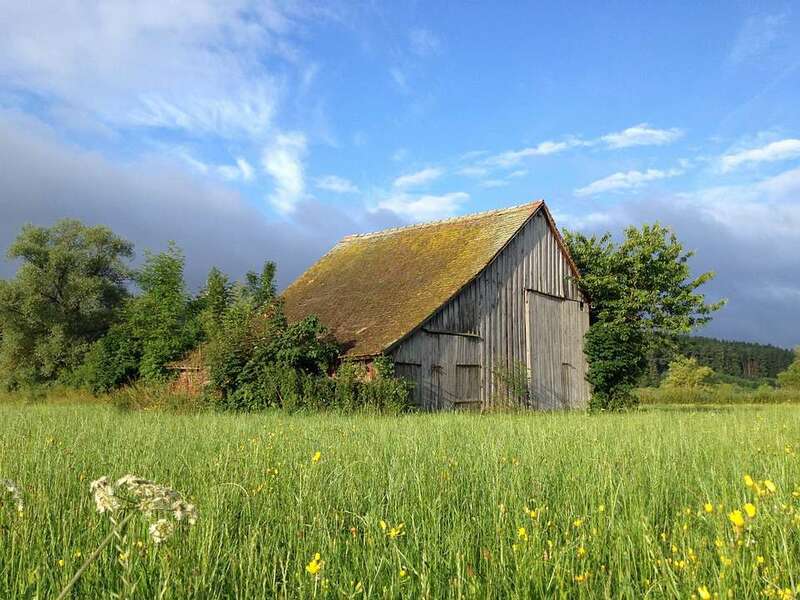 If the barn is made from timber then make sure to use the same timber as the original build, otherwise the continuity will be ruined, and the barn will lose its ‘feel’. The only time this rule can be broken, is when it is completely broken. If it is not possible to use matching bricks and timber then you should try and use something that completely juxtaposes with it. 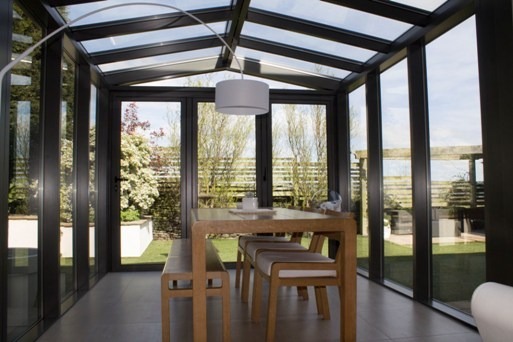 For the most part this is in the form of clean modern, angular glass, such as sliding doors or large curtain walls. 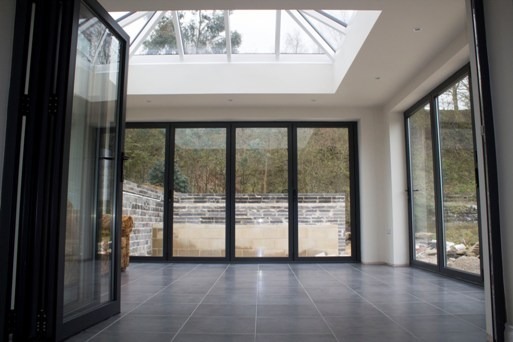 It’s also a fortunate coincidence that by installing sliding doors and curtain walls, light will flood in to your barn conversion. A problem that barns often suffer with. With regards to the colour of your frames the world is your oyster really. At Clear View we work closely with a local powder coating company. We have worked with them for years, and are confident that the work they deliver is second to none. We also know, from experience, that we can match/create nearly any colour desired. 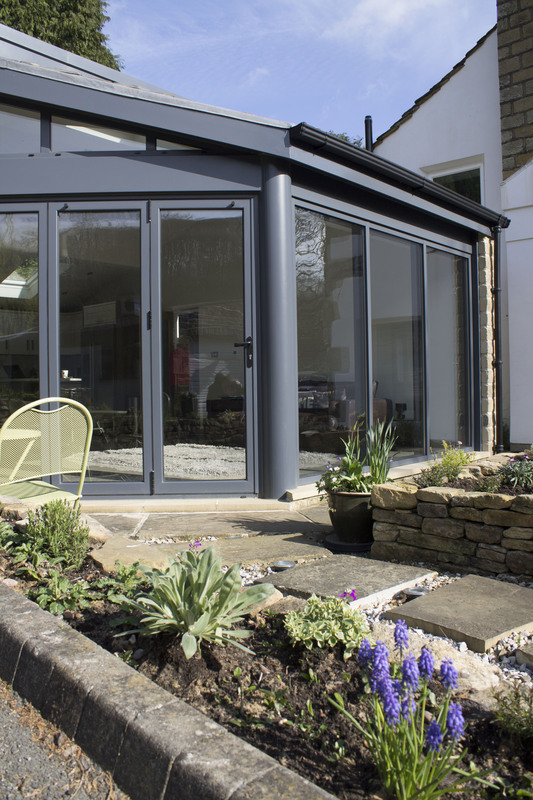 If you are unsure of which windows or colour to use, just give us a call. We have an in-house design team at Clear View, and have facilitated plenty of barn conversions in our 10 years of operations. To find out more just call us on 0800 1357167 or contact us here.